Dance Choreography, Mumbai is headed by Shreya who is an expert in choreography for various events. She has been in the league for many years and has an in-depth knowledge about the latest trending dance styles. To make your sangeet night, grand get in touch with Dance Choreography and you are sure to enjoy every moment. Dance Choreography is a choreographer based out of Kandivali West, Mumbai . Dance Choreography's telephone number is 76-66-77-88-99, address is Kandivali. 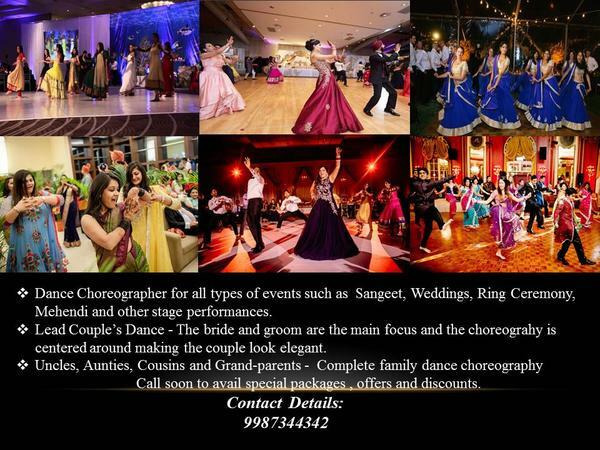 In terms of pricing Dance Choreography offers various packages starting at Rs 2000/-. There are 0 albums here at Weddingz -- suggest you have a look. Call weddingz.in to book Dance Choreography at guaranteed prices and with peace of mind.